These baked donuts have a tasty vanilla and nutmeg base that will remind you of fried cake donuts. The icing has an authentic caramel flavor, because it is actual authentic homemade caramel (plus a little powdered sugar). 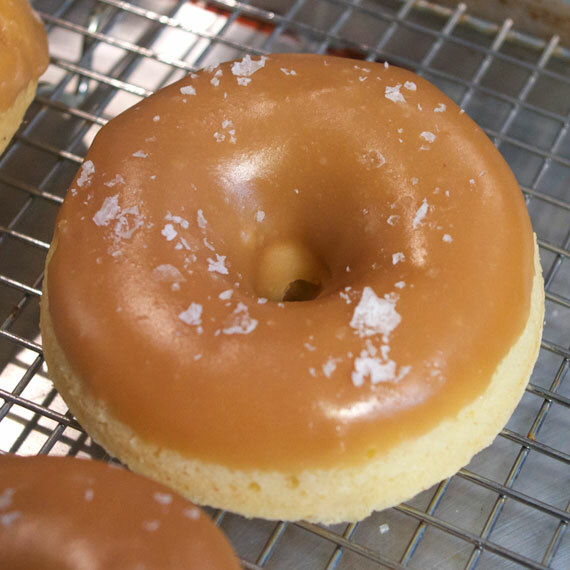 The garnish of salt creates a great contrast with all the sweetness, but also helps emphasize the beauty of the caramel. 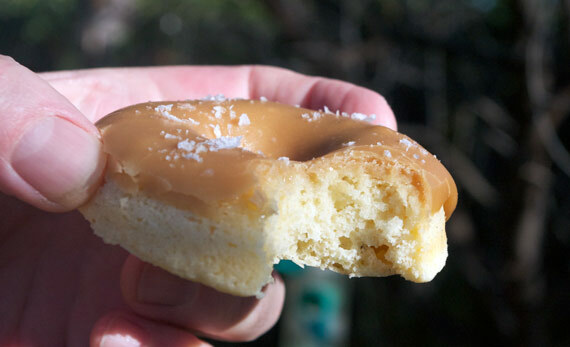 I was inspired to develop this recipe by a recent trip to Atlanta, GA. My sister (aka Sister Breakfast) brought me a selection of donuts from Revolution Donuts of Decatur, GA. All the donuts I tried were spectacular, but their Salted Caramel creation was the hands-down winner. I make and eat a lot of donuts, so I was blown away that I had to check their website to confirm that the donut in my hand was baked and not fried. It was possibly the best baked donut I’ve ever tried. So I set out to recreate it and I’ve come very close. 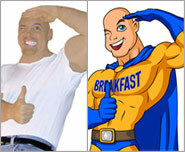 The ingredients for the unglazed donut are very similar to those of muffin. 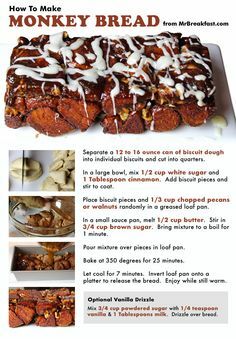 For the exact ingredients and printable recipe, click here. 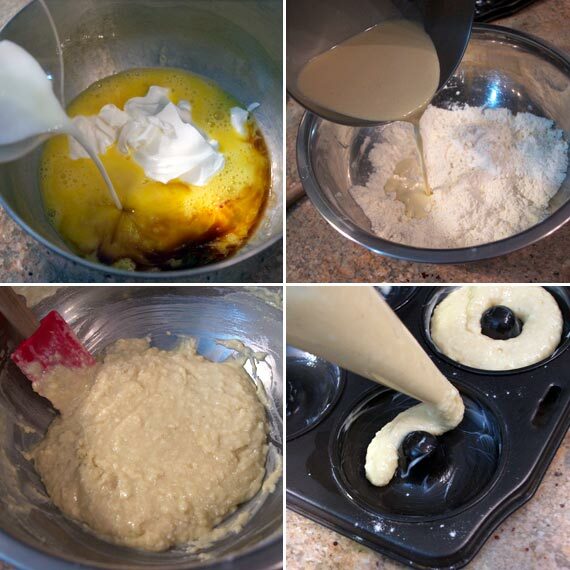 A baked donut pan is required (although you can use the same recipe to make muffins). If you don’t have one of these pans I recommend it. They’re cheap. If you only use it three times a year, you’ll still be glad you have it. 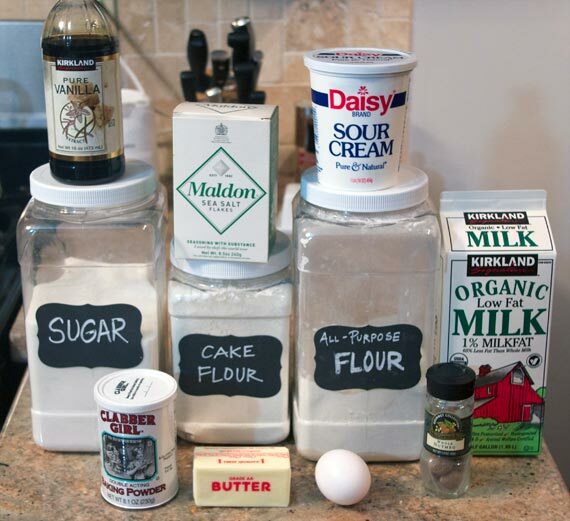 Like most baked goods, you work the dry and wet ingredients separately to start. Similar to biscuit recipes, butter is cut into the dry ingredients which produces more of a fluffy cake texture within the donuts. 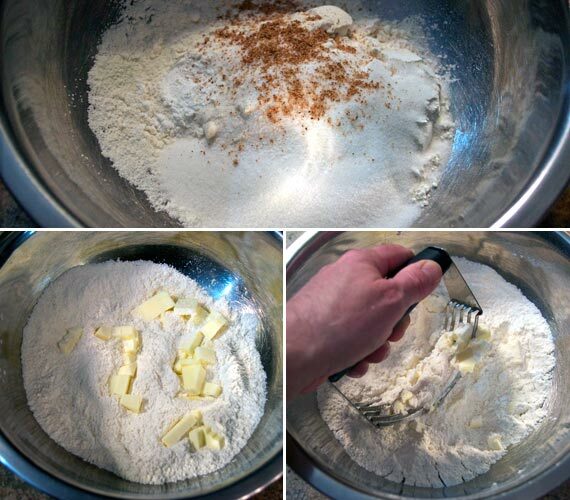 After the wet ingredients are mixed, they are added to the dry ingredients and gently mixed together. 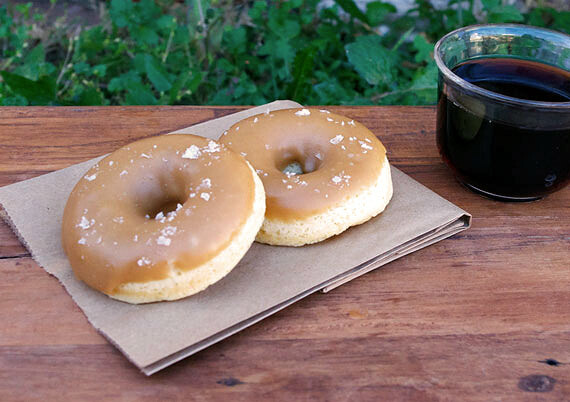 A piping bag is the best way to fill the donut molds. Baking time for me was between 12 and 15 minutes at 350 degrees. Making caramel can be frustrating for first-timers. The trick is to keep everything moving and not letting your temperature get too high. 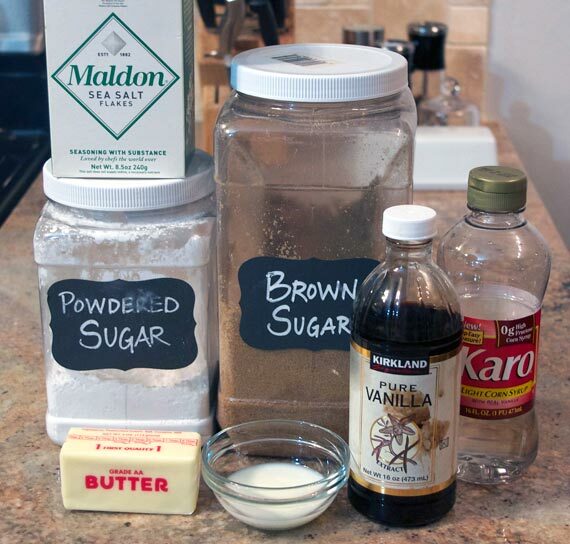 You start by melting butter and golden brown sugar together over medium-low heat. 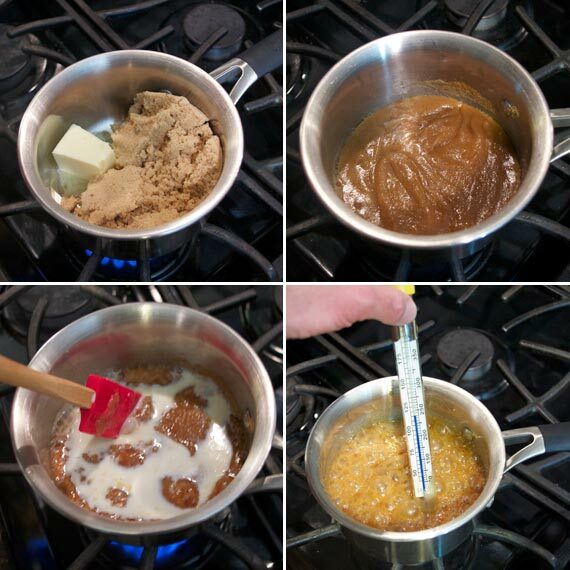 Once the brown sugar is completely dissolved (no longer appears granular), increase the heat to medium. Add milk or heavy cream (in the case of this icing milk worked better). The mixture will soon boil rapidly. Cut the heat to low and continue cooking and stirring for 5 or 6 minutes. Let the caramel cool for at least 5 minutes before stirring in the vanilla and powdered sugar which will turn the caramel into an icing. At some point while making the icing, the donuts had finished baking. 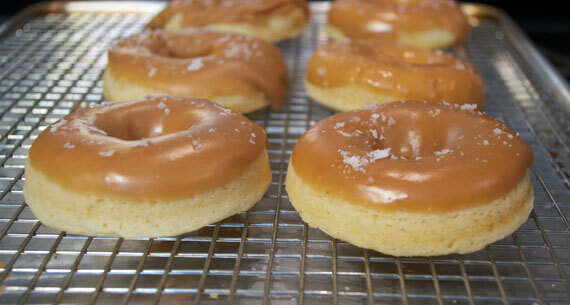 The timing is good because you want your donuts cooled to near room temperature before applying the icing. Save yourself a headache and transfer the icing to a shallow bowl. 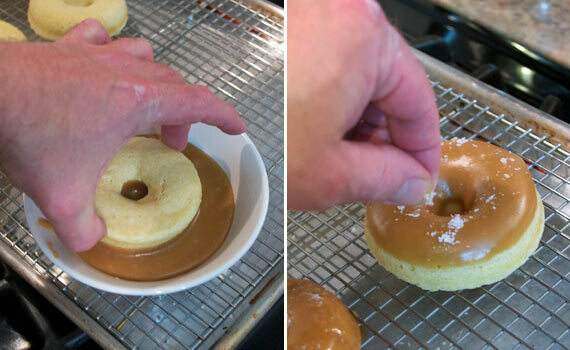 If you try to dip donuts directly into the pan of caramel, you’ll find the pan is too hot to work and you might drop a donut into the icing. I did. That’s why I don’t recommend that shortcut. 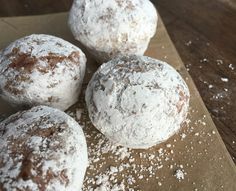 After you dip the top of each donut into the icing, immediately sprinkle each donut with a flaked or large granule salt. Table salt doesn’t work nearly as well. All that’s left now is to eat your creations. I loved these donuts. They were super close to the donuts that inspired them from Revolution Donuts. Close… but I still have to give the better donut award to those guys. If you’re ever near Decatur, GA, be sure to check them out. If I surpass them on subsequent recipe tests, I’ll post about here to save you the trip to Georgia. 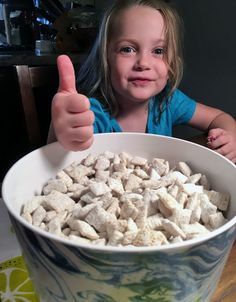 Oh so yummy! 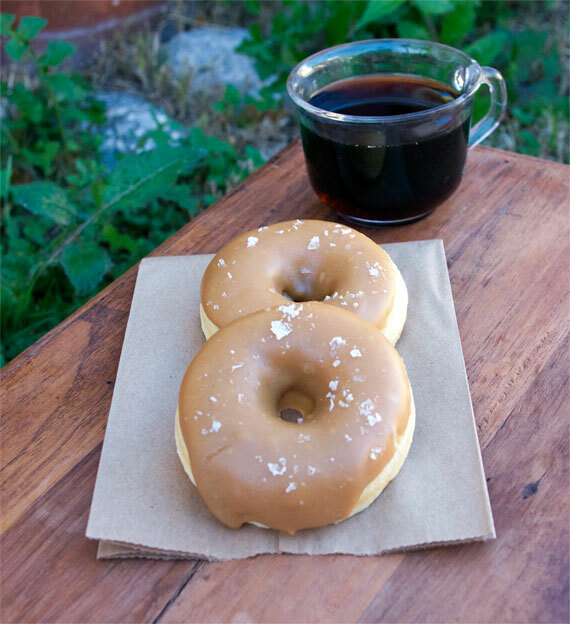 And the smell of the caramel…mmmm. I am going to try it a bit different next time I make it. I’m going to cut the butter in half. And I don’t butter the pan. Trust me didn’t need to. And cut the caramel in half too. I had a lot left over the first time. These are SOOOO GOOD! THANK YOU SO MUCH! Works great in my mini donut maker. Love them.